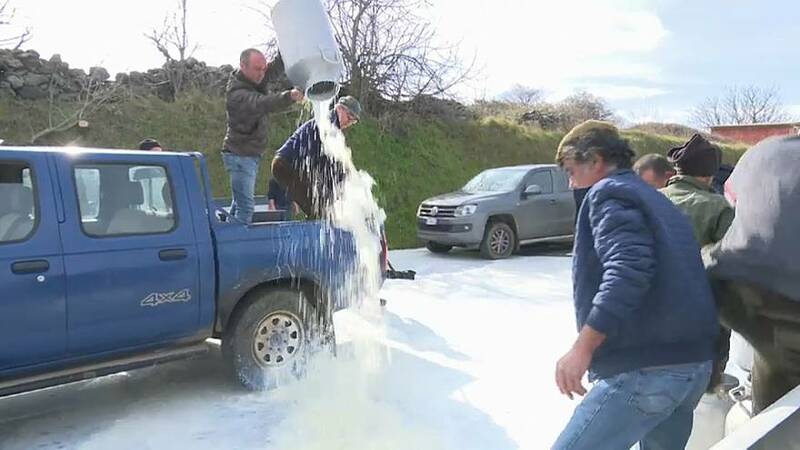 The price of sheep milk has dropped more than 25 per cent to 60 cents a litre following a fall in the price of Pecorino Romano cheese, which absorbs about half the island’s sheep milk production. On Sunday about 100 farmers stopped a consignment of French pork in protest. They blocked Highway 131 in Terralba, holding up a banner that read: “Sardinian shephers are nobody's slaves''. On Saturday, farmers temporarily prevented the Cagliari football team from leaving their training ground to travel to the mainland for their match against AC Milan. The players were allowed to leave after expressing solidarity with the farmers.